Hey, there’s gonna be a new EP released on September 25th in advance of the new full length album to be released in January 2013! I dunno who wrote this, but I’m gonna “quote it directly” (i.e. plagiarize). 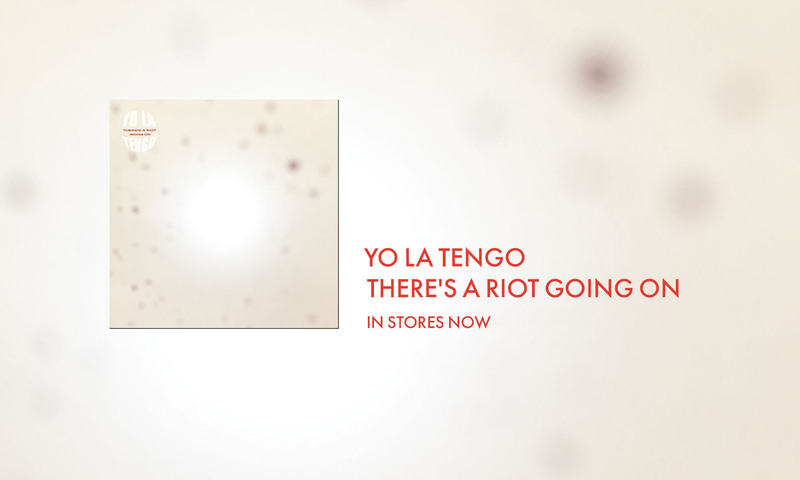 The first new music from Yo La Tengo since 2009’s Popular Songs. “Stupid Things” is a different version of a song that will be appearing on their new album coming out in 2013. This limited-edition 12” vinyl release contains the original version of “Stupid Things,” with a vocal completely different from the upcoming album version, along with a clashing, chaotic and randomly beautiful remix by EYƎ of the Boredoms. The B-side contains the full original 12-minute long instrumental of the track, awash with gorgeous “Autumn Sweater” style organ and some of Ira Kaplan’s most thoughtful and lyrical guitar improvisations yet. Cut at 45 RPM and housed in a heavy cardstock silkscreen sleeve, this strictly limited-edition of 1500 copies is numbered on the back and will be an essential buy for all Yo La Tengo fans. Includes MP3 coupon.